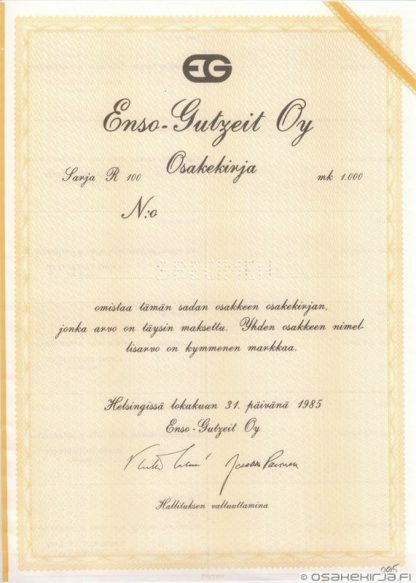 A forest industry company Enso-Gutzeit was established in 1872. 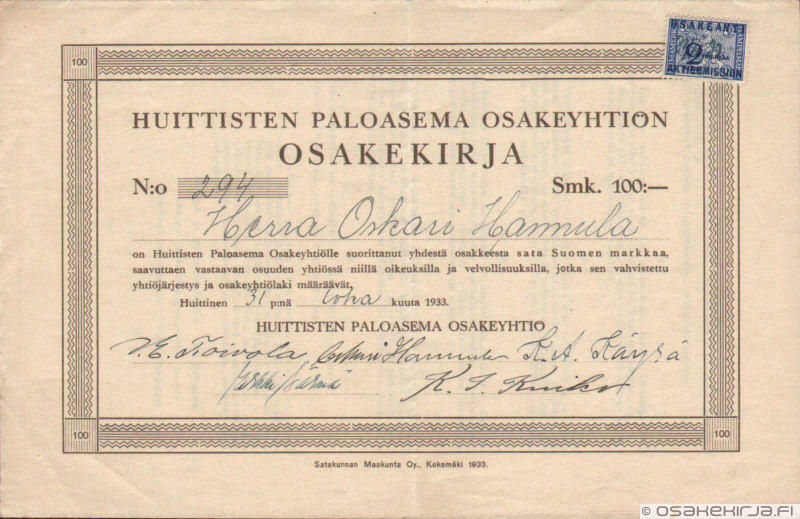 Its first sawmill was located in Kotka. 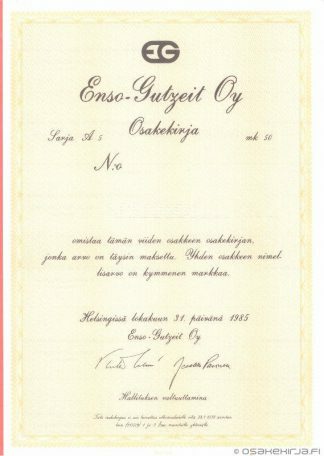 The limited-liability form for the company was chosen in 1896 and the state of Finland bought the majority in 1918. 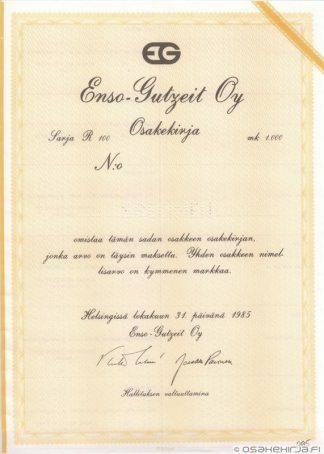 The share of Enso-Gutzeit has been listed in the Helsinki Stock Exchange since 1916. 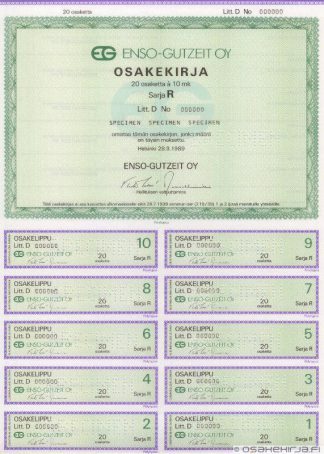 In 1998 Enso-Gutzeit and Swedish Stora AB decided to combine their business. 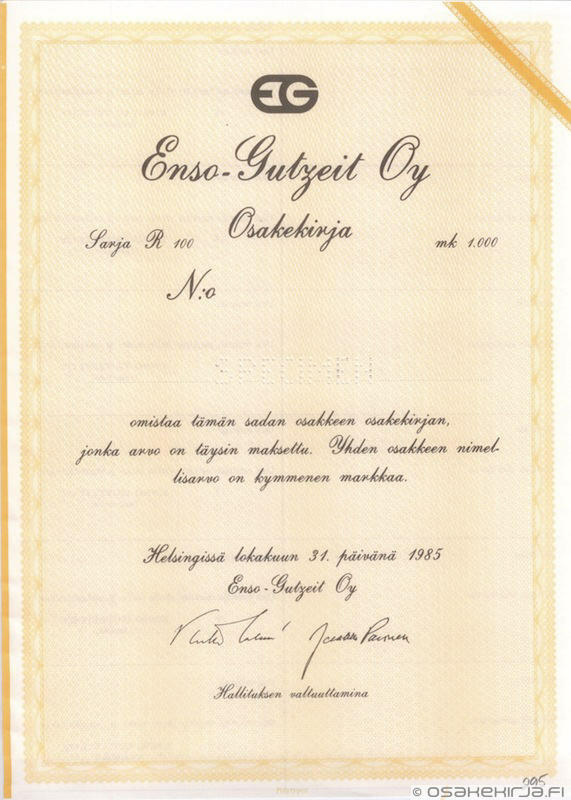 The united company Stora Enso Ltd is still active and its shares are listed in Helsinki and Stockholm. Nature of business: Paper industry, packaging industry, mechanical wood industry, engineering, forest.